Haleakala National Park has many hiking trails to enjoy. 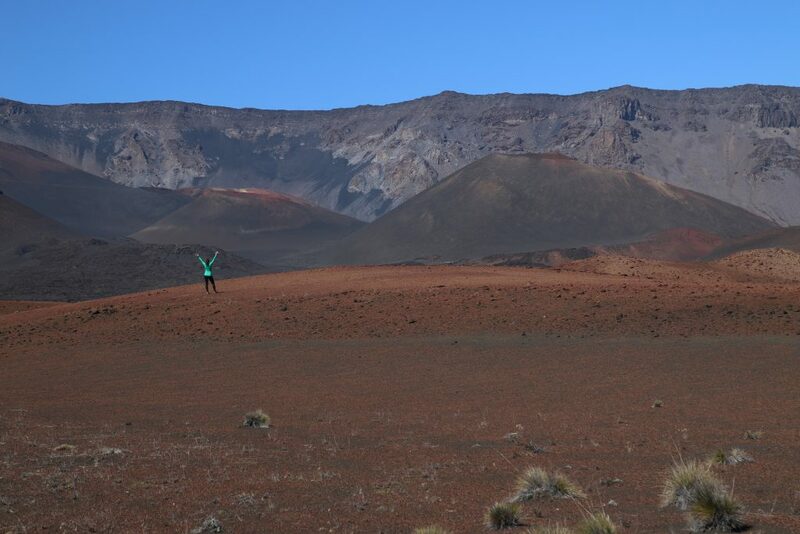 Many come to the summit of Haleakala for sunrise and leave immediately afterward. This is a big mistake. A perfect way to spend a full day at Haleakala is to hike into the beautiful crater to explore the different types of topography. 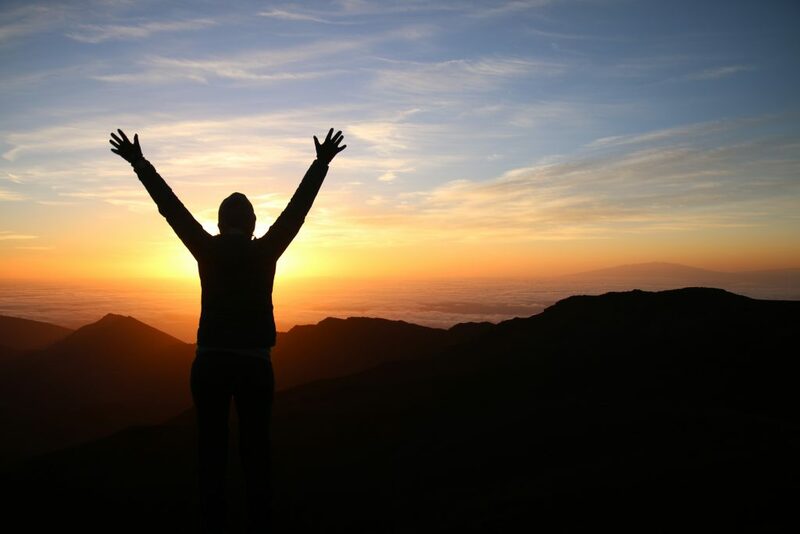 For the best day hikes, there are a few options we outline below. Another great option is to drive to the Halemau’u trailhead and hike in for 1 mile. If the weather is clear the views are spectacular. Hike the Sliding Sands trail to the Halemau’u trail for an amazing 11-mile hike. This hike explores a majority of the crater. Estimated time to complete this hike is 6 hours. This hike is a point to point hike. The start of the hike begins at Keonehe’ehe’e Trailhead at the summit. The hike ends at Halemau’u Trailhead. If you have two vehicles, park a car at Halemau’u Trailhead and then drive up to the summit to start the hike. Note that each car has their own entrance fees. The cheapest option is to park the car at the Halemau’u Trailhead and walk to the hiker’s pickup point along the road. It is fairly easy to hitch a ride up to the summit. This way your car will be at the finish of the hike. 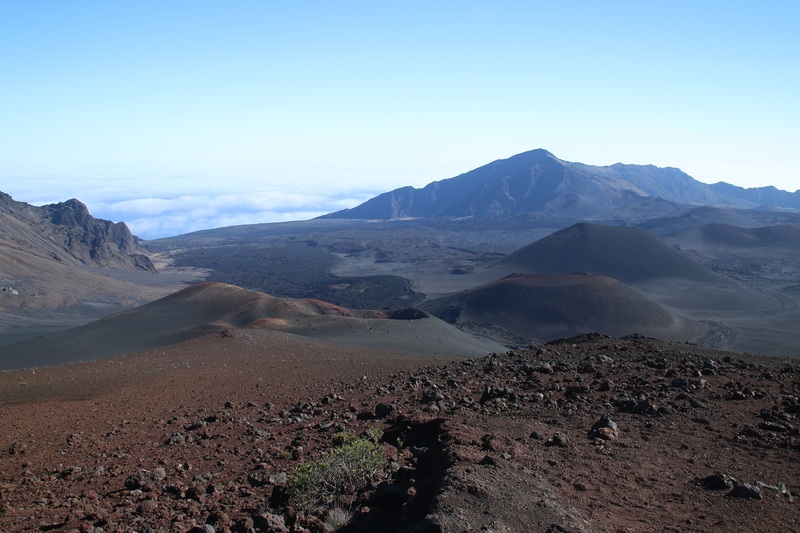 There are a few options for entrance fees into Haleakala National Park depending on your itinerary in Hawaii as well as how often you visit other US national parks. Payment must be by credit card at the park gate at the entrance to Haleakala. 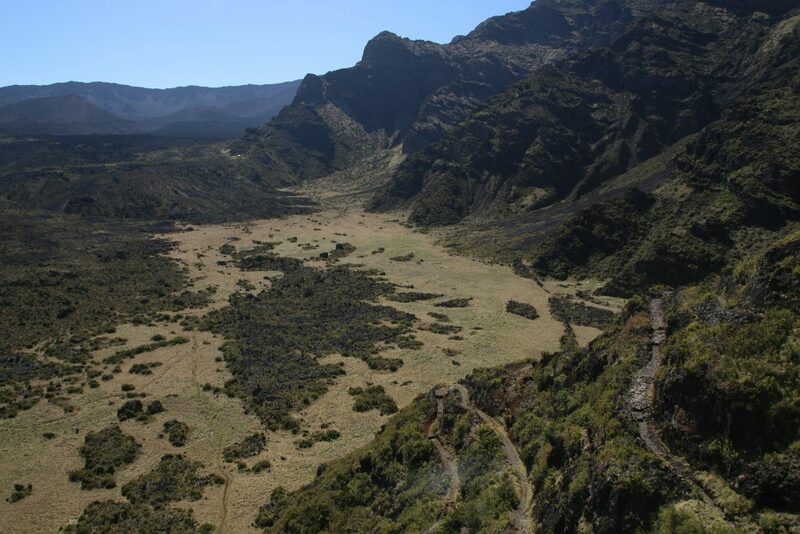 There are payment gates at Haleakala as well as on the Hana Highway at the Ohe’o Gulch and Pipiwai Trail. Entrance fees are valid for three days starting with the date of purchase. Please note, if you are planning to attend sunrise at Haleakala, it now requires a reservation and $1.50 booking fee per vehicle. Reservations are available online only up to 60 days earlier. For more information on booking a reservation, visit the NPS website. 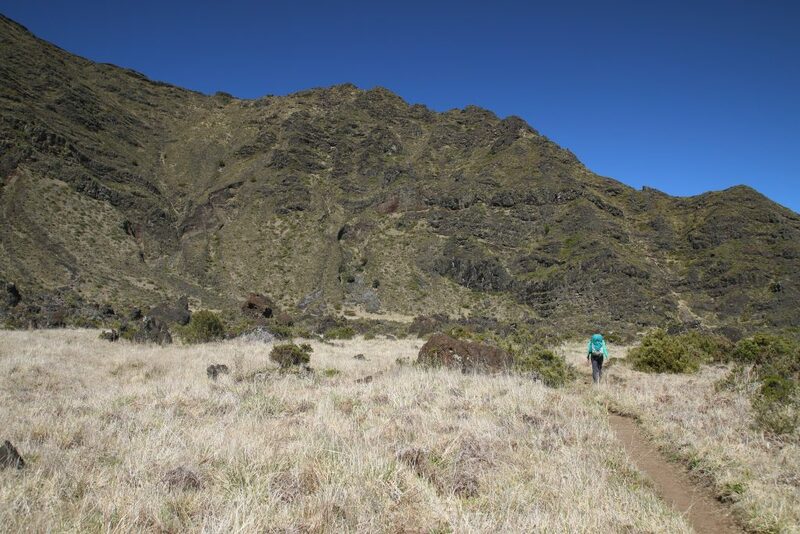 The first part of the hike is downhill leading into the crater. 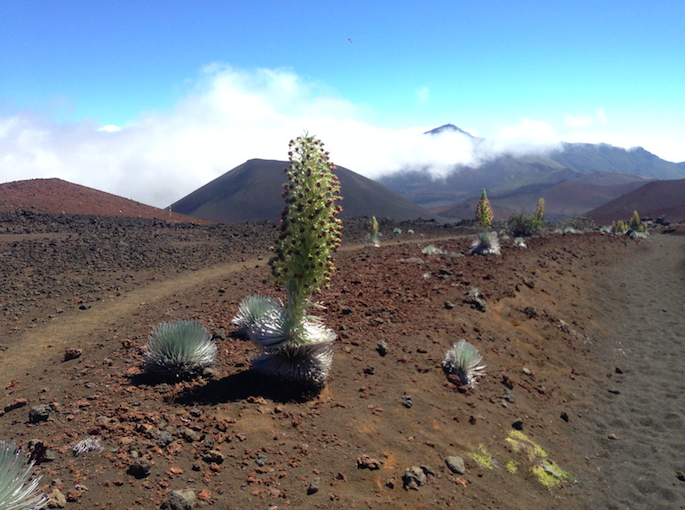 You will see many beautiful colors and awesome landscapes, including the Haleakala Silverswords. These endemic plants live up to 90 years. They flower between July and October. After four miles at the first junction head straight and continue to Kapalaoa and Paliku. Then turn left towards Halemau’u. There are signs posted for these routes. 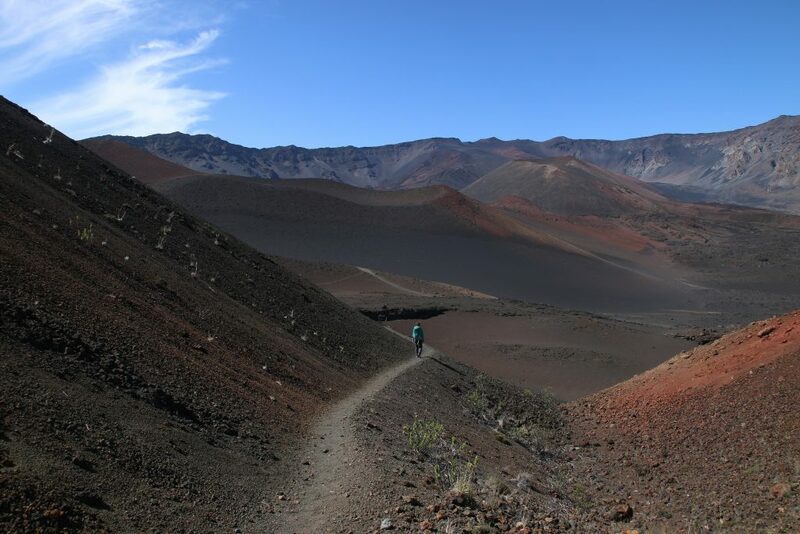 This trail will wind through several smaller volcanic cinder cones, some of which have beautiful colors. 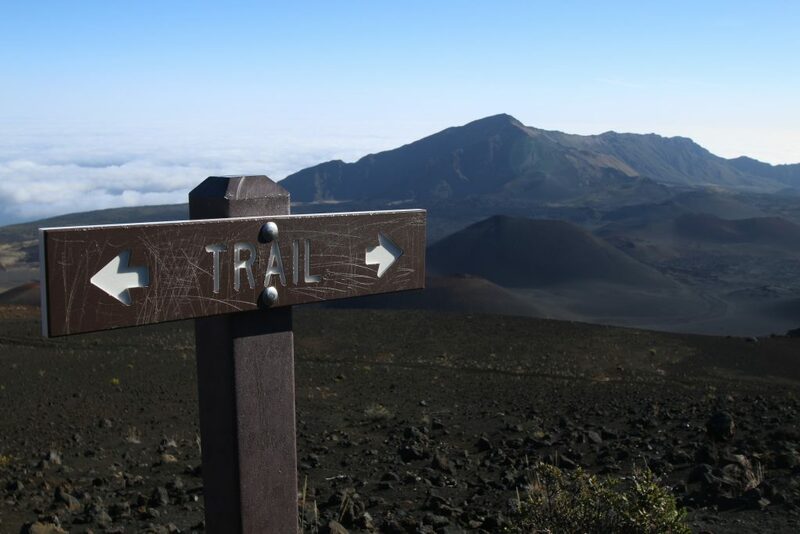 This trail leads you to the Halemau’u trail. Turn left on the trail towards Holua. The trail for the next several miles is downhill. Once past Holua, the landscape changes and becomes more lush with plant life. The last two miles of the hike is the most difficult. Switchbacks lead you up the crater wall that is seemingly never-ending. The switchbacks are very steep and challenging. After a mile and half of the switchbacks, there is still a small ascent, but a much easier finish back to the Halemau’u Trailhead. Bring sunscreen. You are at high elevation and more likely to burn. Bring layers of clothes. This exposed hike can get very hot. However, there is also a possibility of hiking through the clouds, which can get cold. Be ready for both weather conditions on the same day. Bring plenty of water. There is water at Holua, however, it is not treated to drink. Bring tablets or a water filtration device. Pack a light lunch and high energy snacks.